Valentine’s day is just round the corner. I’ve received a few requests from couples wishing for a romantic portrait session (or two), and so, I’ve decided to offer an extra special service. I’ve partnered up with Evans of DB Drone to offer a special couple session package! By booking a couple session or an engagement session this month, all couples will receive a portrait session (by yours truly) and aerial shots (DB Drone). Whether you want photos in the sea, on the beach, in a forest or any special place of your choosing, we’ll capture your love. If you want to get a little crazy, go ahead – we’ll let our creative energies flow, to get the photos you want. Valentine’s Day is just a week away! Order a session by writing to us on Facebook; you can also send us an email at info@khatleen.com or message me here! We also decided to announce a surprise GIVEAWAY for people on Facebook! A special session will be gifted to the winner and his or her significant other. Share the Facebook post as much as you want with your friends and families, and don’t forget to comment! We will select and announce a winner on the 14th of February. 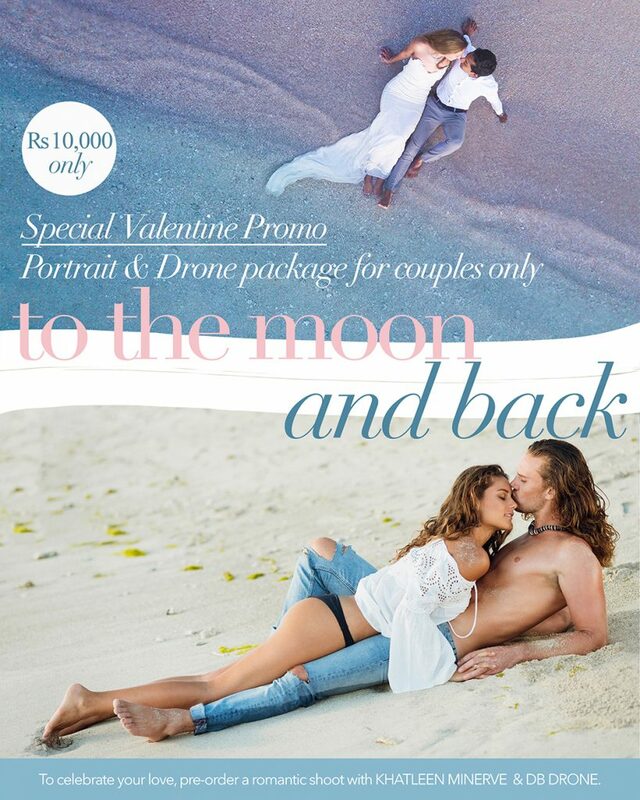 The winning couple will be gifted a special portrait session of 10 photos and 5 aerial shots. So if you are up for it, show us some love this Valentine 2018.